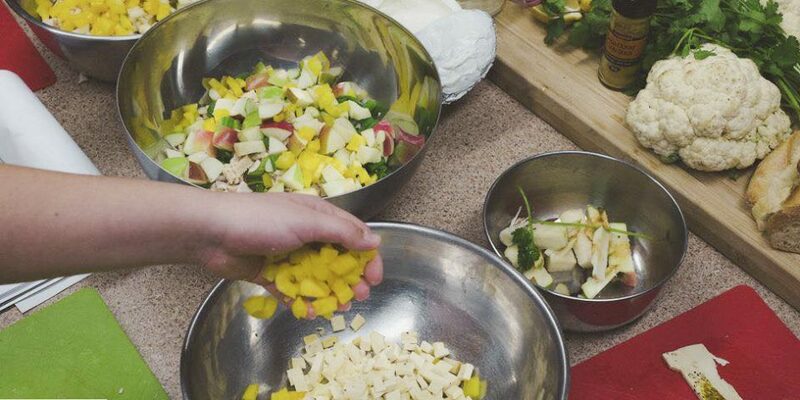 Add a little sunshine and warmth to your daily life by learning to cook simple and nutritious meals made with local and organic ingredients. 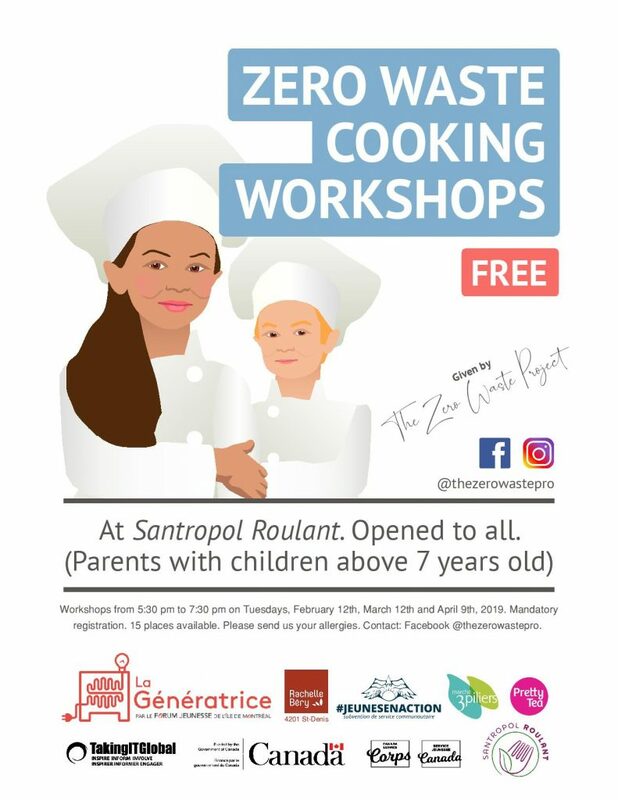 By participating in these courses, you will be able to interact with people who are passionate about food, ecology and a zero waste lifestyle. These workshops will be hosted once a month and are FREE, but you must register in advance! Make it quick, there are only 15 spots available. Tuesday, February 12th from 5:30pm – 7:30pm. SOLD OUT. Tuesday, March 12th from 5:30pm – 7:30pm. RSVP here. Tuesday, April 9th from 5:30pm – 7:30pm. RSVP here. 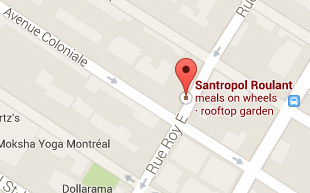 Where: The Santropol Roulant kitchen, 111 Roy E.
Cost: Free, but you must register in advance. Please consider bringing a reusable tupperware container for your food, and a hair elastic or hat for your hair.